Earlier this year I had the opportunity to speak to the Macon Audubon Society at the invitation of NANFA member Paul Hoinowski. 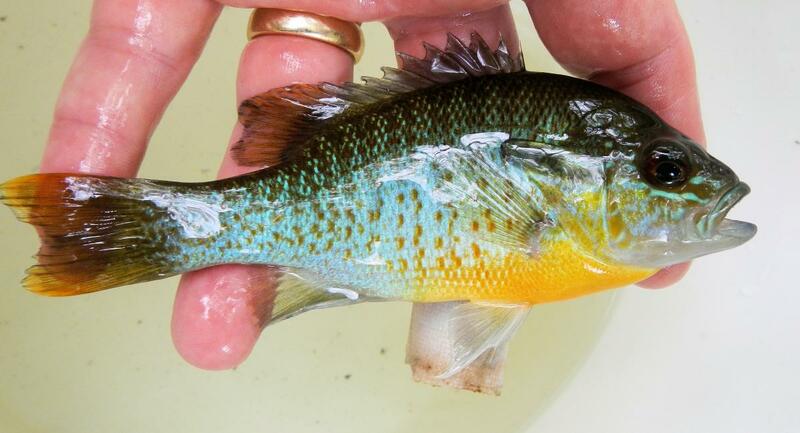 They enjoyed learning about native fishes of the area and thought that other might also. 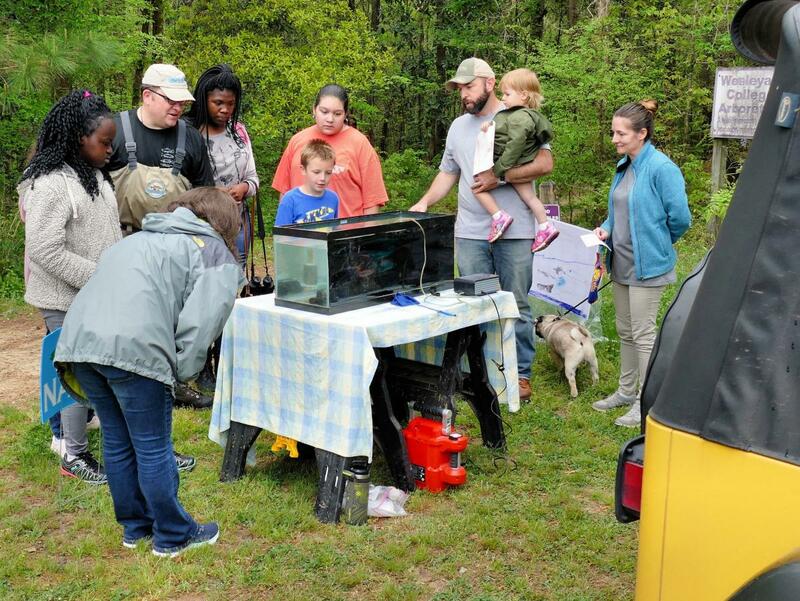 So they invited me back on Saturday April 6 to Wesleyan College to set up and talk about native fishes at Macon Youth Birder Day. Paul and I set up the aquarium and went down to Wolf Creek (how cool is that) to see what fishes might be there. We were able to fill the aquarium and talk to people and had a great time. The Audubon Society also made a small donation to NANFA as a token of appreciation. N. hudsonius was also there. I know that people say they look different in different places... these even looked different in and out of the water... so reflective when in the air (that blue has to all be sky since if seemed to show up so much better when I held the fish flat)... and so subtle in the tank. We also had one mystery guest. I have never seen Christmas darter this far west, but the range maps say that they should be here. We only got this one specimen... I am thinking she is a Christmas darter female (would appreciate a confirmation or alternate suggestion). You do enjoy torturing me. Looks like a good time was had by all ... and nice fish. Didn't realize Christmas darters got that far into Georgia. It's not exactly prototypical, but I don't see any more likely candidates. The YFS are GREAT. 'Spect they'll be coloring up soon! Thanks for sharing. I have been snorkeling a few times and walking creek banks hunting for morels. Spring is springing and lots of lusty activity. I wish we had those yellowfins up here in Ohio. Gorgeous!